Ayios Epiktitos was serviced daily by the rural bus service conneting Kyrenia - Ayios Amvrosios. Because there were no street names in Ayios Epiktitos, all mail was delivered at the coffee shop (cafe or "cafenio") of George Telemachou "Giollas" and was distributed from there. George Telemachou had his coffee shop on the main road connecting Kyrenia and Ayios Amvrosios. Savvas Raftis served as the last postal agent in Ayios Epiktitos until the July 20 1974 Turkish invasion. On the night of 27 to 28 of July 1974 the Trkish army has captured our village during a period of cease-fire and forced us out and away from our beloved village, Ayios Epiktitos. Refugees now in our own country, wait for the holy day of freedom, and return to our village. Following is a poem by Mrs. Chloe Prokopiou translated in English. It is dedicated to the postal agents of Ayios Epiktitos and represents our continuing expression and desire to keep in memory our village until the holy hour of freedom and return in our ancestor's lands. The lands of Kyrenia and our village, Ayios Epiktitos. asking whether I am in your thoughts and your dreams. the roads became hostile, and inaccessible, and no postal service. letters are now stacked in piles in our refuge the drawer. and the desire, and my love for you will be known to all. they are heavy from tears, they won't make the trip to reach you! with a rainbow one morning in freedom's bright sun. Note: Yiollas - Raftis: Late Postal Agents of Ayios Epiktitos. 1901 Pano Dhikomo, Kato Dhikomo , Kalogrea, Karavas. 1921 Agirda, Ayios Amvrosios, Ayios Epiktitos, Bellapaise, Guenely, Halevga, Karmi, Kazaphani, Kharcha, Klepini, Mandres, Orta Keuy, Sykhari, Temblos, Trimithi, Vouno. 1951 Ayios Yeorgios, Elea, Kanli, Karakoumi, Keumurju, Koutsovendis, Krini, Motidhes, Onisha, Paleosophos, Phterykha, Photta, Pileri, Thermia, Trapeza. Dhikomo Kato and Dhikomo Pano both opened on 1.1.1893 and were later issued with GR cancellers. Karavas on the road between Kyrenia and Lapithos was opened on 18 March 1895, and a datestamp was sent from London on 13 October 1899, but in the meantime manuscript cancellation was adopted, generally over-stamped on arrival at Kyrenia. 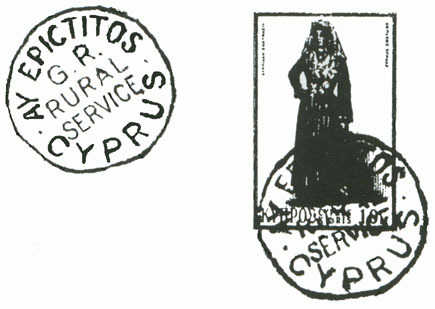 Only four other agencies have cancellations recorded on the first George V postage stamp issue: Ayios Epiktitos (spelt Epictitos), Klepini, Kharcha (spelt Khartzia) which had GR cancellers and Ayios Amvrosios which had a double circle datestamp. A manuscript on the 1896 one piastre is known from Kharcha. The GR canceller for Kalogrea was of an early type (inscribed Kalorka) as an agency was opened here on 1 September 1900. There was a mail route in 1907 from Kyrenia to Lapithos and on to Morphou, that could have served Karavas and Vasilia, but nothing eastwards. By 1921 this had been motorized as far as Lapithos with a daily service, but only thrice weekly on to Morphou. There was a twice weekly service by mule to Ayios Amvrosios (spelt Ambrosious in the notice) via Ayios Epiktitos and Kharcha, but no mention is made of Kalogrea a few kilometres to the east. In the reduction in sortings made in 1927, the bags for Karavas and Lapithos were cut out, all mail for overseas going through Kyrenia. Akanthou also had its bag and datestamp withdrawn. Orta Keuy and Geunely are on the main route to Agirda Pass. A road on the south of the mountain range connected Halevga, Koutsovendis, Vouno, Sykhari, Onisha, Agirda, Keumurju, Pileri and Krini with a loop to Photta. No road to Hamid Mandres which had a GR canceller, is shown on early maps . By 1951 Kanli and two agencies close to Kyrenia had been opened, Thermia and Karakoumi. Copyright Roswell Computing Ltd 1998-2004. 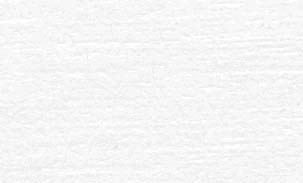 For technical issues please contact Christos A. Neophytou.